This letter is from C.B. 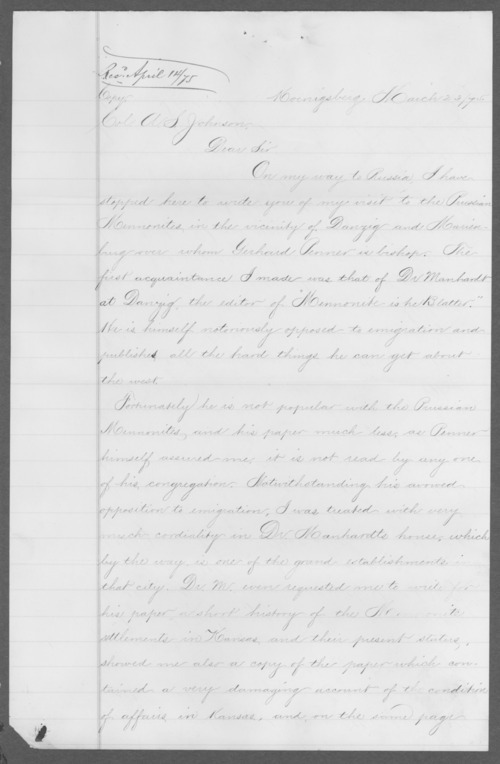 Schmidt, foreign agent for the Atchison, Topeka and Santa Fe Railroad to Colonel A.S. Johnson of the Land Commission. Schmidt writes about stopping in Prussia to get information on the local Mennonites and what their feelings are on immigrating to the United States.